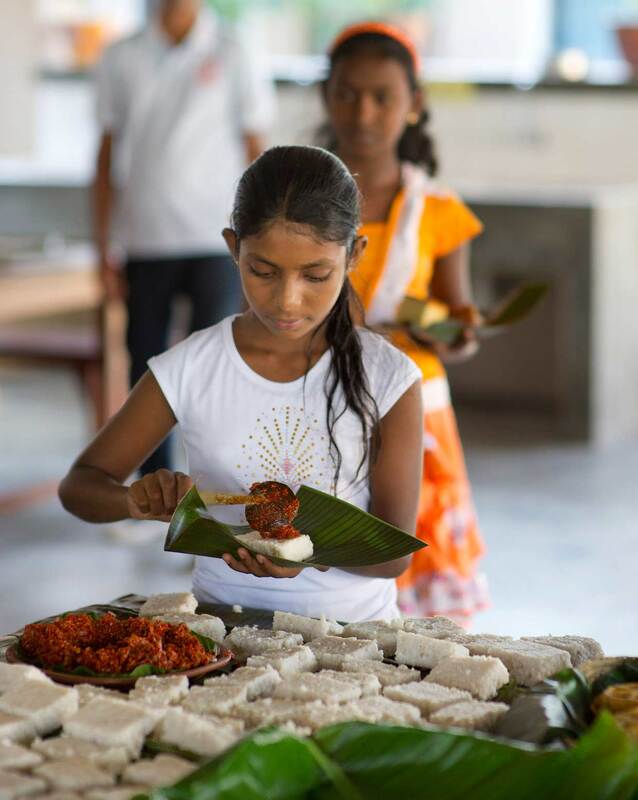 A young child at the Moratuwa MJF Foundation Centre where a comprehensive programme to address the needs of children from marginalised communities is being carried out by the MJF Charitable Foundation. 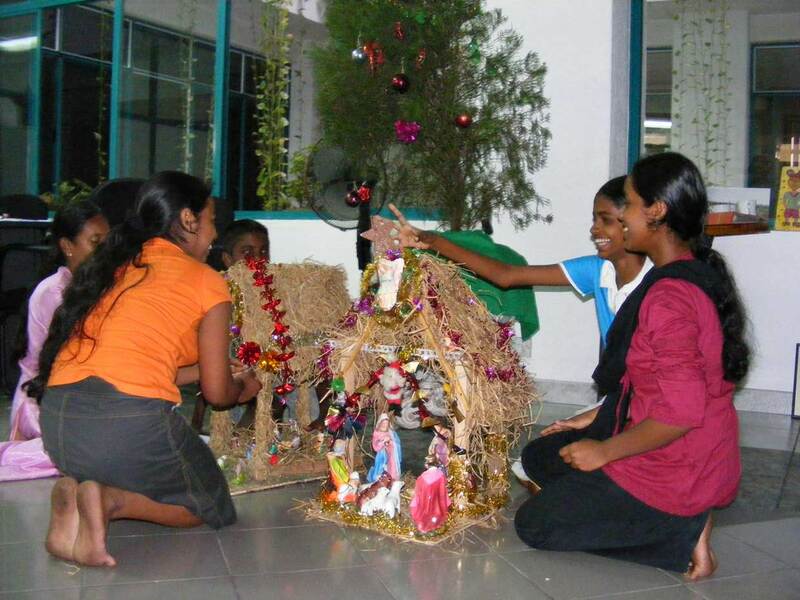 MJF Kids from the Peliyagoda Centre during the annual Christmas crèche competition. The MJF Charitable Foundation provides care and education for over 750 children at different MJF Centres island wide through the MJF Kids Programme since 2006. 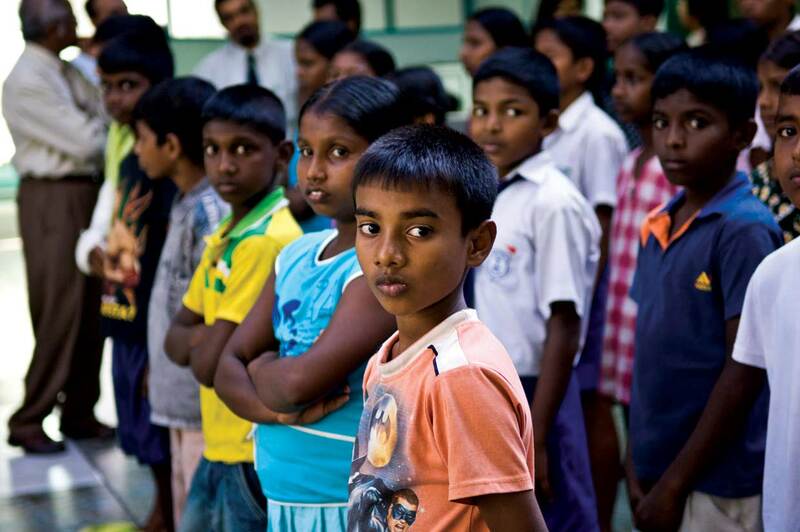 Children from marginalised communities receiving the chance of a better life at the MJF Foundation Centre, Moratuwa. Established in 2009, the Centre addresses issues of childhood poverty, needs of children with Down Syndrome and Cerebral Palsy and of abused women. All smiles! 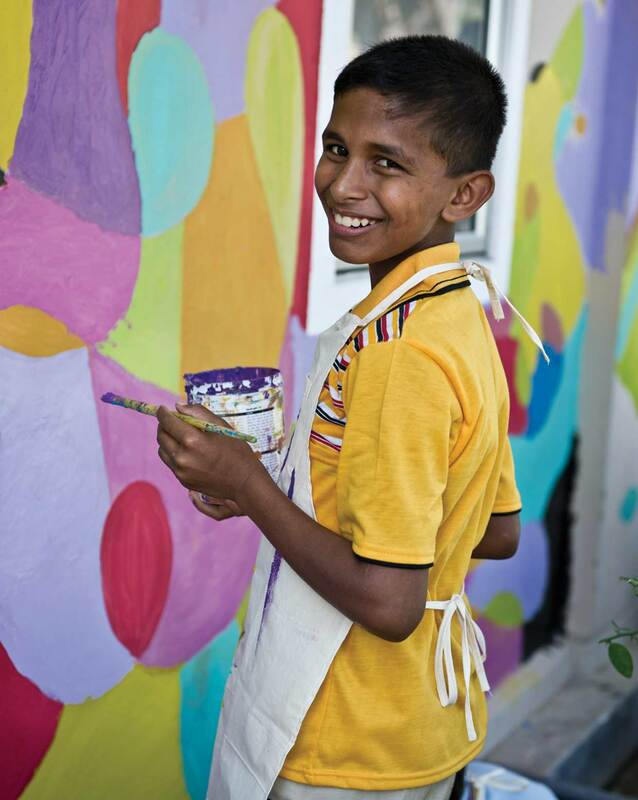 An MJF Kid taking part in a wall painting exercise at the MJF Foundation Centre in Moratuwa. Over 750 children receive the opportunity for betterment through the efforts of the MJF Kids Programme established in 2006. A cooking exercise to instill qualities of working together as a group. The MJF Kids have fun together at the MJF Foundation Centre, Moratuwa in January 2012 where children from marginalised communities are afforded the opportunities for a better future. 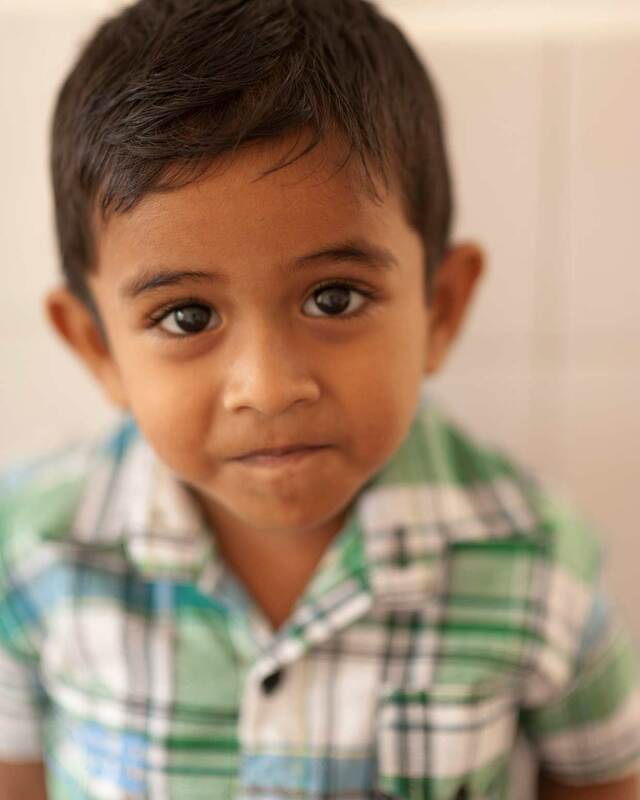 “The wellbeing of children is an important part of Dilmah’s work” Merrill J. Fernando, Settlor of the Merrill J. Fernando Charitable Foundation. 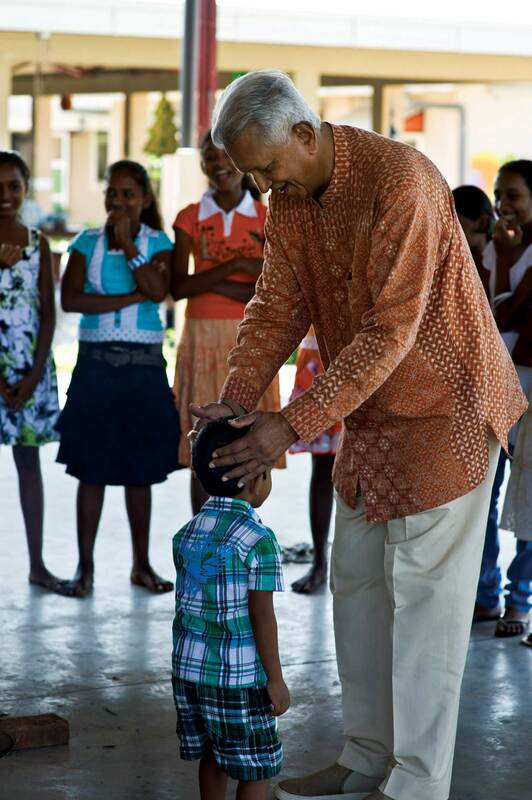 The MJF Kids Programme supports over 750 children island wide with education and leadership training since 2006. 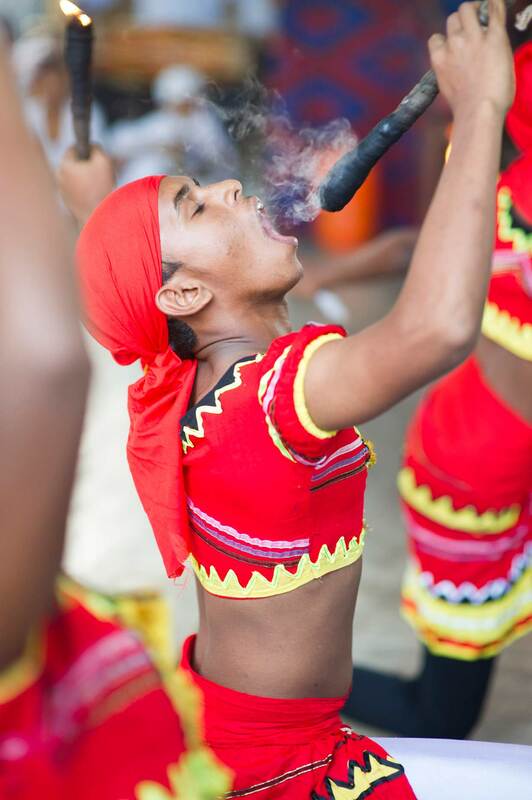 A young dancer from the MJF Kids dance troupe performing the traditional Kandyan dance. Youth from marginalised backgrounds are given an opportunity to better themselves through creativity and appreciation of art at the MJF Centres. Away from the poverty and deprivation of his natural surroundings, a MJF Kid walks to school with his head held high! The MJF Kids Programme supports promising young students from marginalised communities achieve their potential since 2006. 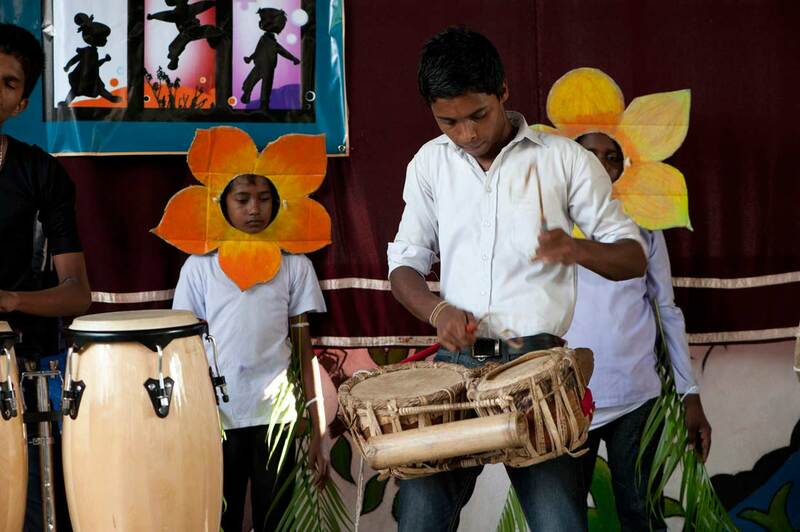 Nurturing cultural diversity of MJF Kids at the MJF Centre in Peliyagoda. 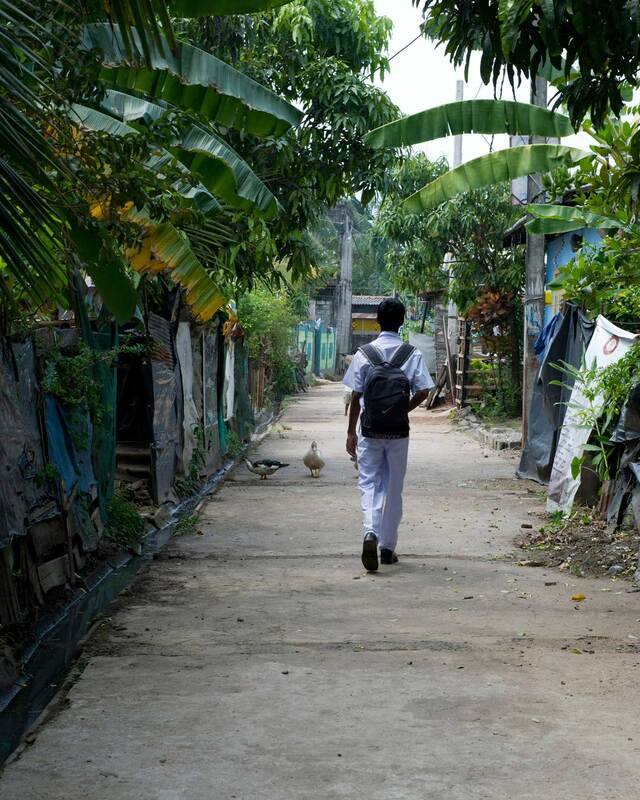 The programme supports children living in the periphery of Dilmah Factories in Colombo’s suburbs, home to some of the worst slums in the country. The MJF Kids fusion drumming team performing at the MJF Kids 6th anniversary celebration. The MJF Kids Programme has supported over 750 students reach their true potential though various educational and aesthetic programmes since 2006. 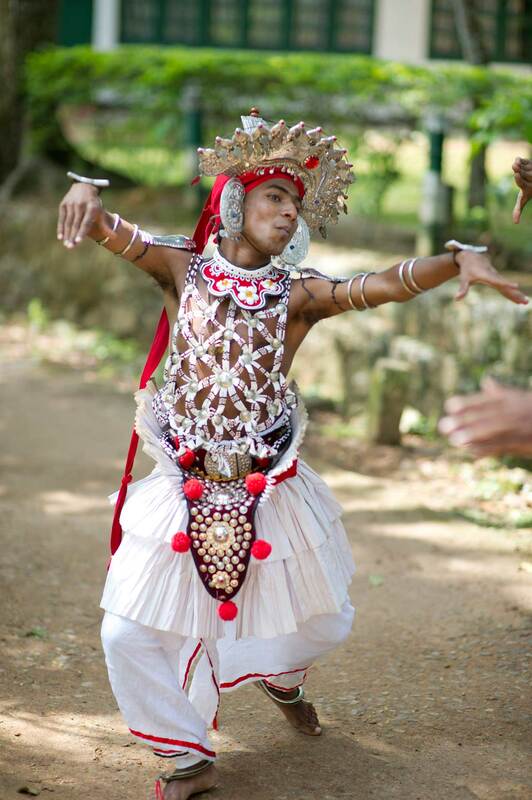 Chrishanthini, young poet, talented dancer and MJF Kid. Her transformation from a child without hope into a MJF Kid with a bright future is one of inspiration for others. Nurturing the artistic abilities of the MJF Kids. 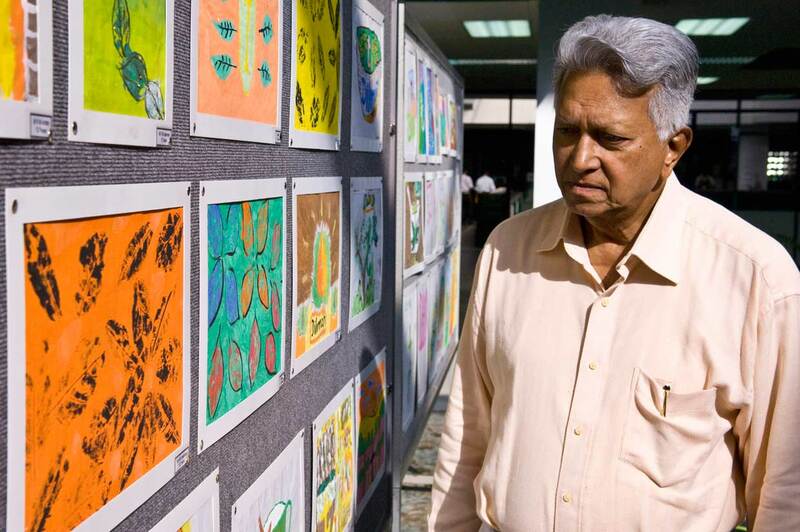 The Founder appreciating their art and craft during an exhibition held to celebrate their creative abilities in 2010. 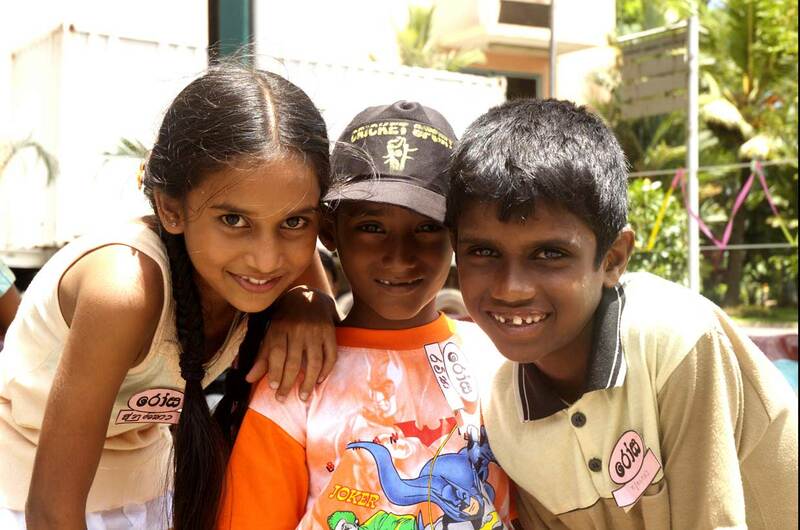 “I made a lot of new friends, I learnt about team work, overcoming challenges, leadership qualities and taking care of others” says Akila Maduranga from Moratuwa of his experience at the MJF Kids leadership training camp in 2010. MJF Kids all smiles at a kid’s event sponsored by the MJF Charitable Foundation. Each year, the lives of over a hundred slum dwelling children are enriched with better education, nutrition and an opportunity to express themselves through the MJF Kids Programme. 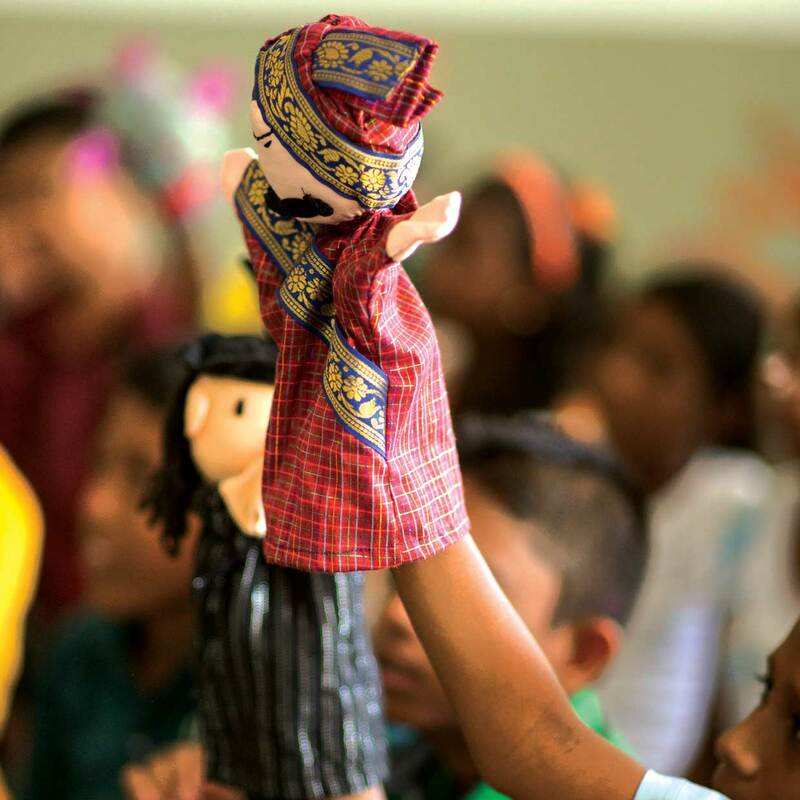 MJF Kids at the Moratuwa Foundation Centre explore creativity through puppetry. 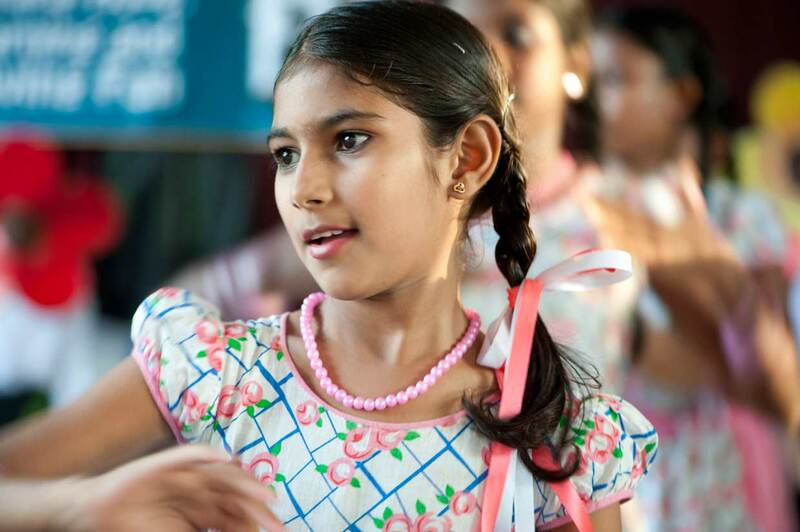 The Moratuwa Centre plays a special part in providing educational and creative support for children from marginalised communities since its establishment in 2009.